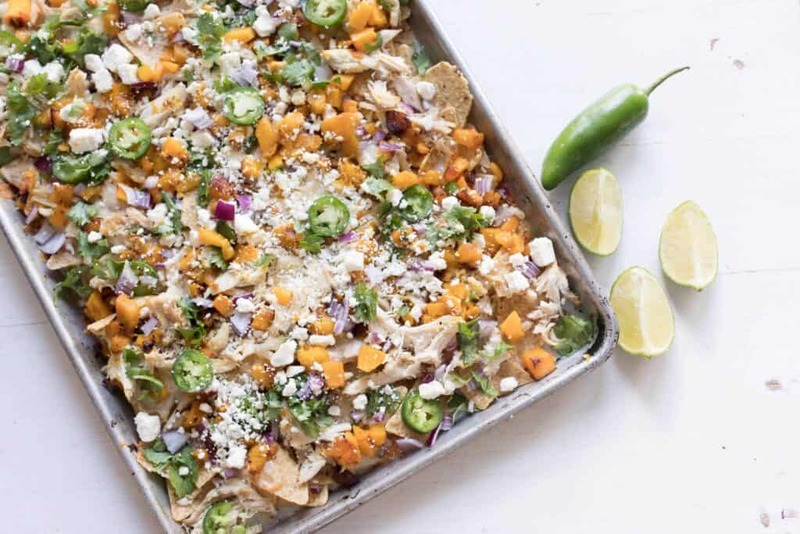 Pumpkin sheet pan nachos are the perfect appetizer for the fall season. They taste delicious and are a great way to sneak in extra vegetables and nutrition. ‘Tis the season for all things pumpkin. In our home, this means a whole lot more than just pumpkin spiced lattes and baked goods. 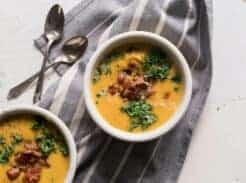 Although we love those things too, pumpkin is a delicious squash that can be used in almost every dish. Sautéd in butter or coconut oil, small pie pumpkins taste a lot like butternut or acorn squash. 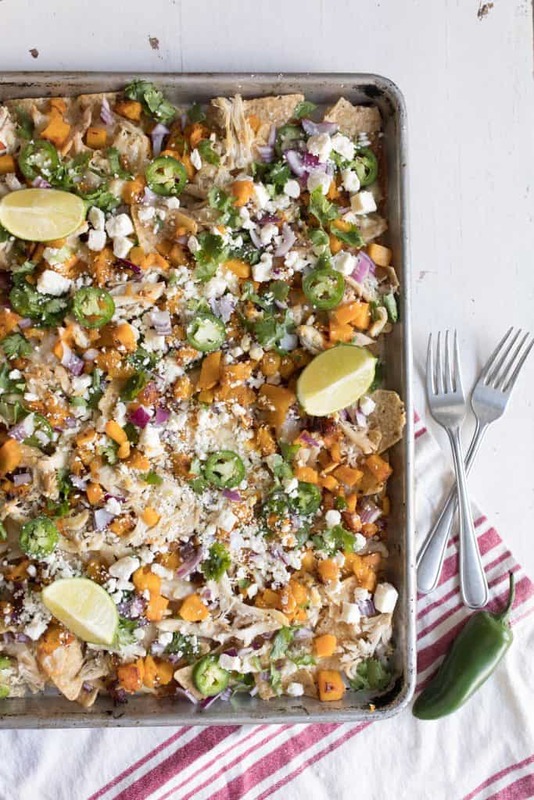 It makes these ordinary sheet pan nachos a little more festive for the autumn season. I brought them over to my sister’s house as an appetizer for a barbecue, and they were gone in minutes! 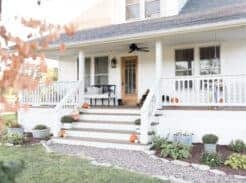 I am doing this post in collaboration with several of my blogging friends. Read all the way to the end for some more fall appetizer recipe inspiration! Peel the pumpkin. I use a regular vegetable peeler, and peel a pumpkin just like I would a butternut squash, apple or potato. 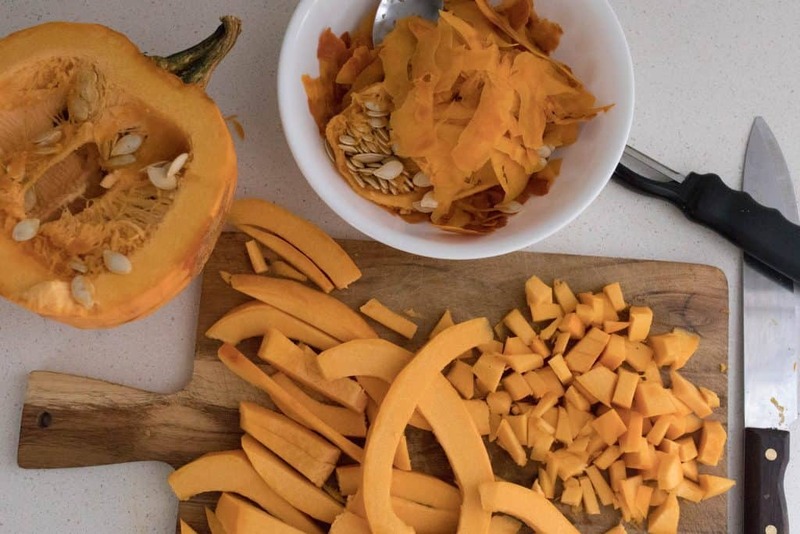 Cut the pumpkin in half and scoop out the seeds. Sauté the diced pumpkin and the 3 tablespoons of coconut oil in a large skillet (I prefer to use cast iron.) over medium heat. Cook for about 10 minutes, or until almost soft. 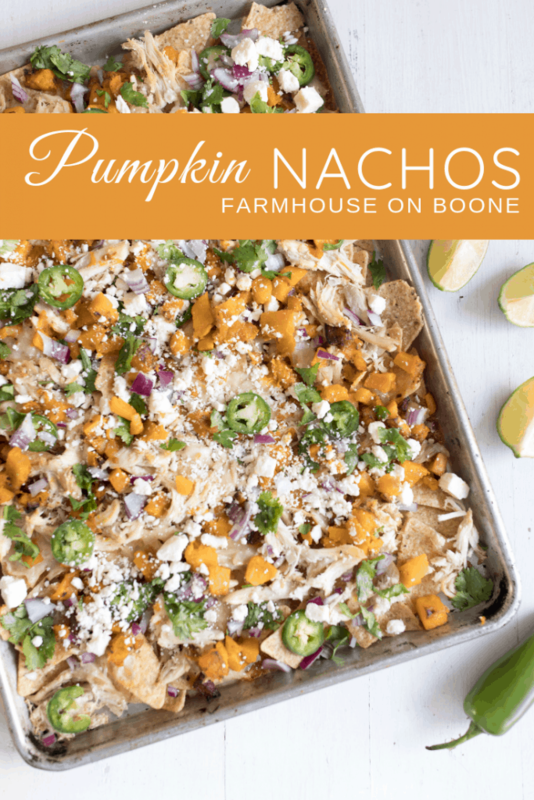 The pumpkin will be cooking a little more with the nachos in the oven, so don’t overcook them. You want the diced pieces to retain their shape and not turn into mush. You can use a whole chicken, chicken breasts, legs, thighs, pretty much any part of the chicken! If the chicken you are using is completely unseasoned, sprinkle it with 1/4 teaspoon of salt. I made mine a few hours before in the pressure cooker, with only water, so it definitely needed some seasoning. I used a whole chicken, and set the rest of the meat aside for a future meal. Never a bad thing in our large (and hungry!) family. 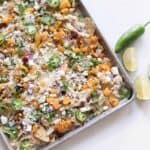 Spread 9 ounces of organic tortilla chips into a large sheet pan. Top the chips with the cooked chicken, shredded cheese, diced red onion, sliced jalapeño and the sautéd pumpkin. Bake the nachos for 15 minutes. 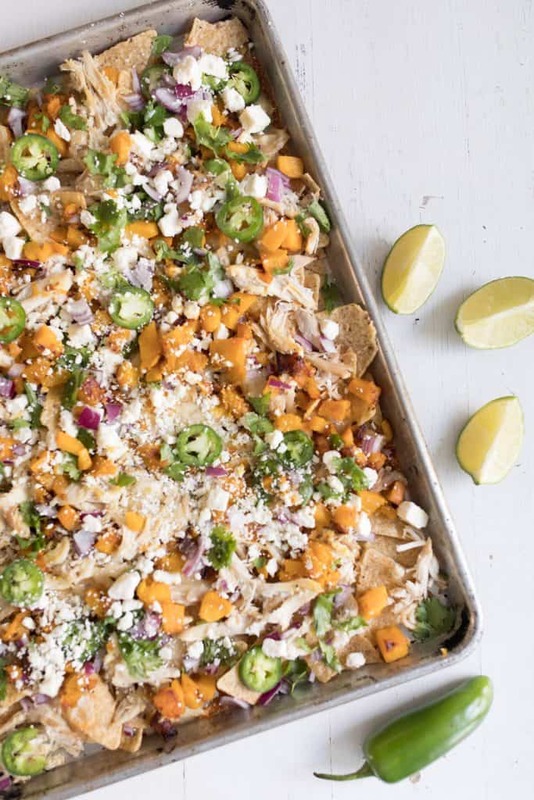 Remove the sheet pan from the oven and allow the nachos to cool for a few minutes. Sprinkle on the feta cheese and fresh cilantro. Finish the nachos off with the juice from one lime. For our family, pumpkin is a staple all fall and winter long. We use them in smoothies, meatloaf, granola, soup, lattes, sourdough pancakes, and more. You can sneak it in so many recipes. Its healthy, filling and CHEAP, especially at the end of the fall season! When most people are getting rid of their front porch pumpkins, I’m in the store throwing the rest of the clearance pie pumpkins into my basket. They keep for months in a cool dry place. We use tortilla chips pretty regularly in our home, but always go for the organic options. One of the things I’m pretty serious about avoiding are genetically modified ingredients, or GMO. Conventional tortilla chips are full of them, in the corn and in the oils they’re cooked in. Brands that have the organic certification aren’t allowed to use anything genetically modified. I also look for brands that have very few ingredients. The concept of using feta cheese in a Mexican inspired dish is actually pretty new to me. Recently I went to a potluck taco dinner with friends, and someone brought a tub of feta cheese for their accompaniment. At first it struck me as a little odd. After smothering my chicken, vegetables, salsa and sour cream with crumbled feta cheese, I wondered where that combo had been all my life. Seriously, it is a match made in culinary heaven. I prefer to use extra sharp and organic. I never buy cheese that is pre-shredded, because it is coated with cellulose. This blocks moisture and prevents packaged shredded cheese from forming a massive clump. Unfortunately, it also prevents it from melting properly, and who knows the health effects of consuming it?! No Mexican meal is ever complete without fresh lime juice and cilantro. They transform ordinary food that is “meh” into something so fresh and delicious. We almost always have these two things on hand in our home. Sauté the diced pumpkin and the 3 tablespoons of coconut oil in a large skillet (I prefer to use cast iron.) over medium heat. Cook for about 10 minutes, or until almost soft. 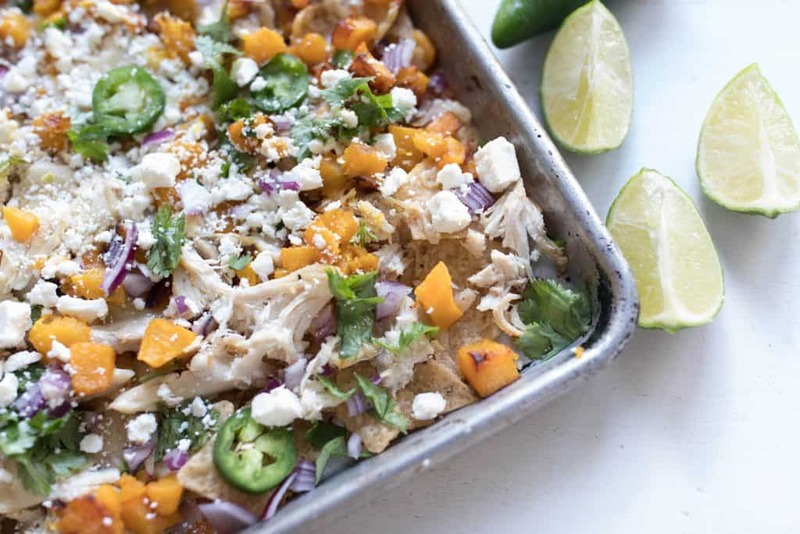 The pumpkin will be cooking a little more with the nachos in the oven, so don't overcook them. You want the diced pieces to retain their shape and not turn into mush. SUCH a creative idea!! These sound delicious. 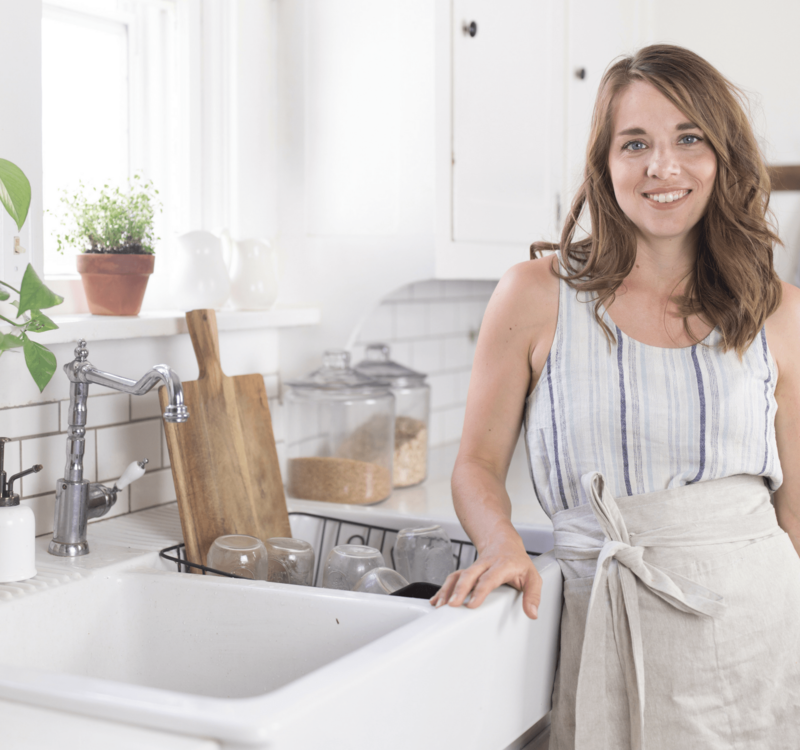 I can’t wait to try this recipes – it’s perfect for fall!! 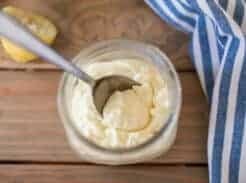 This recipe looks amazing and simple enough to try myself. Thanks for sharing!